Iran drew widespread ridicule when it revealed that its supposedly “state of the art” and domestically designed and built “Kowsar” jet fighter was really a 1970s US design with a fresh coat of paint. But inside reports indicate that the F-5 was just a placeholder and that Iran’s working on a new trainer/light attack aircraft that could save its air force. Iran is poor and has only a few older jets from the US and Russia – and on top of that, it doesn’t have a good domestic pilot-training program. But by creating such a program, Iran has focused on an area its Gulf Arab rivals have neglected and could make its force powerful long into the future. Iran drew widespread ridicule when it revealed that its supposedly “state of the art” and domestically designed and built new “Kowsar” jet fighter was really a 1970s US design with a fresh coat of paint – but according to an expert, the plane has an untold purpose that could save the Iranian air force. What Iran billed as a “100% indigenously made” fourth-generation fighter with “advanced avionics” immediately registered with aviation experts as a knockoff of the F-5 Tiger, a US jet that first flew in 1959. Iran still has a few F-5s and even F-14s in its inventory from before the Islamic Revolution, when it maintained relations with the US. Joseph Dempsey, a defence and military analyst at the International Institute for Strategic Studies, tweeted a useful comparison. 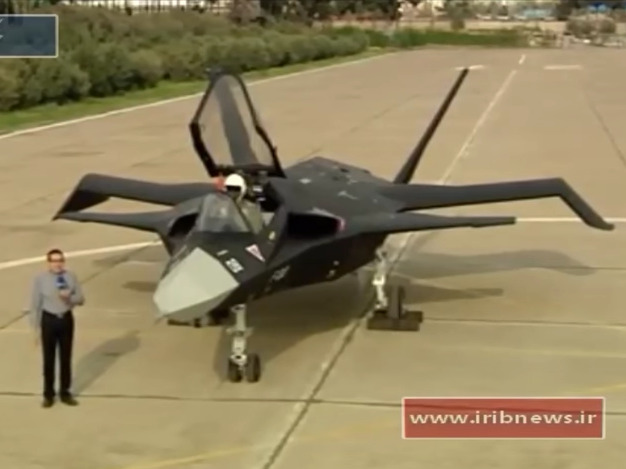 After the debacle of Iran’s latest entry into the world of fighter aircraft, the supposedly stealth Qaher-313, which appeared too small to even lift its pilot off the ground, many aviation watchers saw Iran’s Kowsar project as another failure or propaganda project for domestic consumption. ali javid via YoutubeThe tiny Qaher-313. But according to Justin Bronk, an aerial-combat expert at the Royal United Services Institute, the real Kowsar project isn’t the F-5 Tiger reboot, but a new system of avionics simply parked in the F-5 as a placeholder. Iran failed to produce the real Kowsar project by the date of the announcement, so it instead jammed the new avionics and software into an F-5, the defence analyst Babak Taghvaee tweeted. Bronk said the real Kowsar wasn’t a fighter at all, but a jet trainer and a light attack plane that could save Iran’s air force. 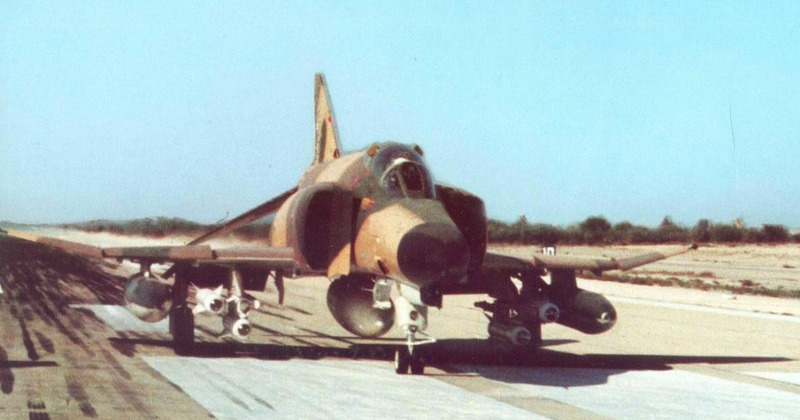 IIAFAn Iranian F-4 Phantom II armed with an AGM-65 Maverick. “The Iranian air force is an interesting mix,” Bronk told Business Insider. “They’re, unquestionably, extremely good at making use of older equipment against endless predictions” that those systems will break down – for example, Iran still flies US-made F-14s and F-4s, while the US abandoned those airframes decades ago. But somehow, Iran, even under intense sanctions designed to ensure it can’t get spare parts from the US, keeps them flying. “Given the state of their economy and the embargoes, that is pretty impressive,” Bronk said. Even with the impressive feat of workmanship that is an Iranian F-14 flying in 2018, when asked to describe Iran’s air force’s fighters against a regional foe like Saudi Arabia, Bronk said that “‘hopelessly quaint’ would not be too far off the mark.” Matched against Israel or the US in air power, Iran sees its chances sink from bad to much, much worse. But besides quaint aircraft having no chance against upgraded Saudi F-15 gunships, Iran has another problem in its shortage of pilots and trainer aircraft, which is where the real Kowsar comes in. “Iran has been relying for a long time on basically a bunch of increasingly old veteran pilots, a lot of whom were trained by – or were trained by those who were trained by – the US before the revolution,” Bronk said. Therefore, Iran needs to drum up its own indigenous fighter-pilot training program – and that’s the real purpose of the Kowsar: to train the next generation of Iranian fighter pilots. “It’s not a bad play,” Bronk said. “It makes the most of the limited technology options they have.” Meanwhile, according to Bronk, Iran’s Gulf Arab enemies have ignored domestic training and had to bring in mercenaries from other countries.